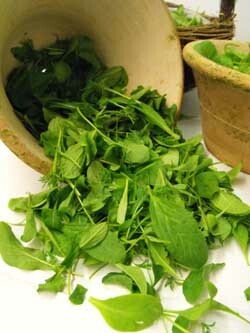 Mesclun is commonly defined as a mixture of salad greens. Sowing successively every ten days will produce a regular supply of tasty salad greens. Sweet basil, borage, roquette, bronze fennel, sugar beet, red leaf lettuce. Heat tolerant; suited for mid-summer sowings.